With our unique wilderness locations, we are able to offer that sense of escape; perfect for your honeymoon! Honeymoons are a chance to unwind after the special day and indulge in some peace and quiet. Lazing on the beach, long romantic walks or enjoying one of our exciting activities. Located within the iSimangaliso World Heritage site on KwaZulu-Natal’s Elephant Coast, Kosi Forest Lodge and Thonga Beach Lodge are a fabulous combination of solitude, romance and fun. Kosi Forest Lodge – 3 nights’ accommodation, breakfast, lunch and dinner, teas and coffees, canoeing on Lake System, walk in Raffia forest, transfers to and from pick up point. Complimentary bottle of Sparkling Wine, Chocolates, 15 min back, neck and shoulder massage. Private Dinner or Dune picnic. Park Fees, Drinks, laundry, gratuities and items of a personal nature, inter-lodge transfers and 4×4 transfers at Thonga Beach Lodge. 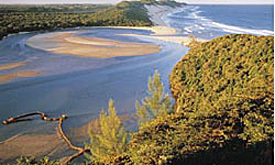 Kosi Forest Lodge is a 5.5 hour drive from King Shaka International Airport, Durban. 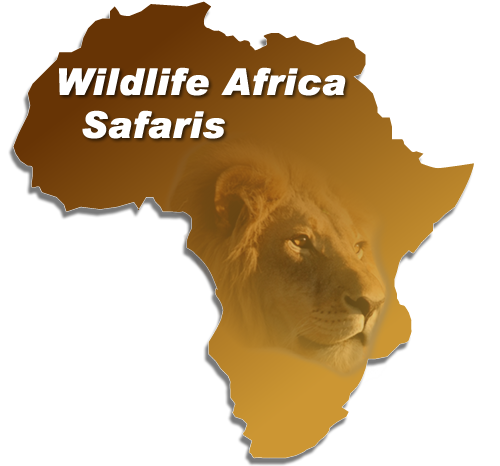 For those guests travelling in 2×4 vehicles you will leave your vehicle in a secure parking area in the nearby town of Manguzi from where you will enjoy a complimentary 20 minute transfer to the lodge. Remember to keep a hat/cap and warm jacket out as the transfer will be in an open 4×4 vehicle. Alternatively you could take the inter-lodge transfer to Thonga through the Coastal Forest(not recommended for self drive guests). 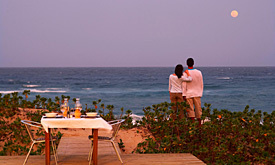 On arrival you will settle into your Honeymoon Suite and enjoy an afternoon activity on the beautiful pristine Mabibi Bay iSimangaliso Wetland Park. After a morning activity you will check out of Thonga and be returned to the Pick Up point at Coastal Cashews. The nearest airports are either Richards Bay (3.5hours) or King Shaka International Durban (5.5hours).